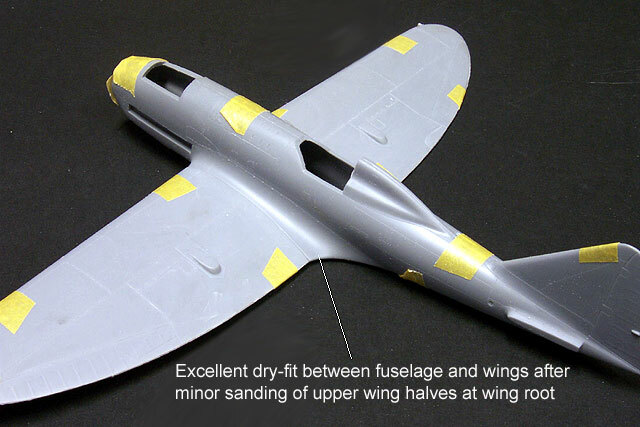 Disadvantages: Modelling skills required for preparation of some resin parts; no harness; shallow gun troughs; raised ejector pins (on inner surfaces only). Once upon a time there were two types of plastic model. There was the mass-produced, injection moulded kit sold at hobby and toy stores that anyone could build; and then there were the "limited-run" kits. These were vacform or the dreaded short-run plastic kits. These kits were often crudely presented and included only the bare minimum of details. Sometimes the modeller had to scratch build such details as the cockpit, undercarriage, aerials and smaller parts. These kits might have represented a rewarding challenge to master modellers, but the rest of us were more likely to have opened the box and run away. More recently, a welcome middle standard of kits has become available. Classic Airframes is a good example. They produce subjects that are never likely to be released by a mainstream manufacturer, yet the quality of the plastic is very respectable and the fit of parts, while not perfect, is certainly manageable by modellers with only moderate experience. 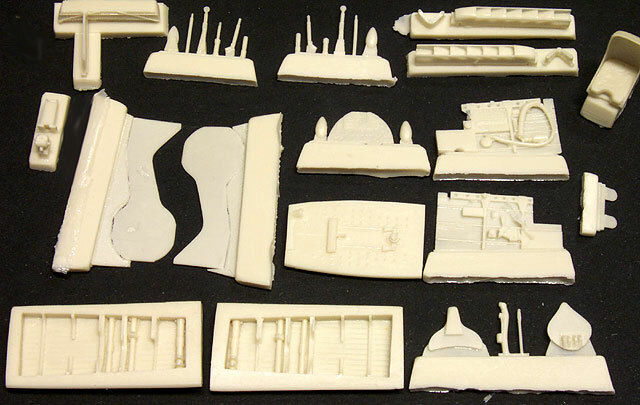 The plastic sprues are supplemented with resin parts, often providing these kits with a higher level of detail than mainstream manufacturers can offer. Other model companies, including Special Hobby, MPM and Grand Phoenix, have joined Classic Airframes in this space. The most recent entrant to the limited run market is "Flying Machines" from Italy. 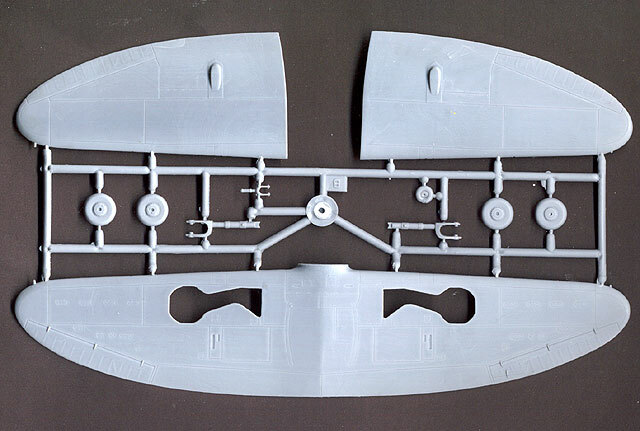 If you are familiar with Classic Airframes most recent offerings, you will know what to expect from Flying Machines' 1/48 scale Reggiane Re.2005. The Regianne Re.2005 Sagittario (Archer) was one of the three "Serie 5" Italian fighters built around the famous Daimler-Benz DB 605 engine. The combination of this powerful and well proven German engine with sleek Italian design created a graceful aircraft quite capable of holding its own against contemporary Allied fighters including the Mustang and Spitfire IX. Of the three final generation Italian WWII fighters, the Re.2005 was the rarest due to limited, hand-built production. Only about 30 were completed. Flying Machine's debut release is the Reggiane Re.2005 in 1/48 scale. The model comprises just 26 parts in grey styrene, 33 parts in pale yellow resin, and two vacform canopies. The plastic parts are very nice. The texture is silky, panel detail is crisply engraved and sprue connection points are narrow and few. Some rivet head detail is slightly raised, while fabric texture is restrained and convincing. 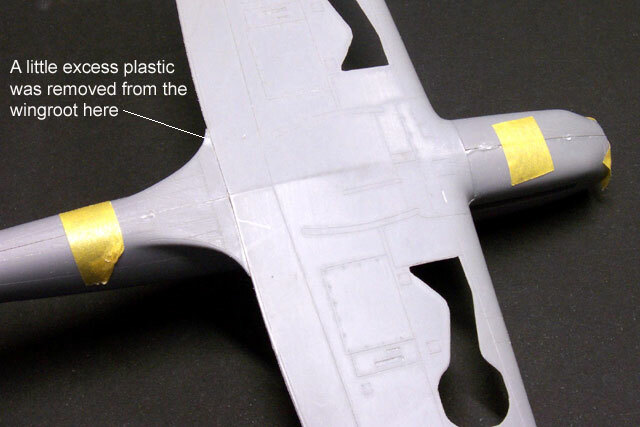 Trailing edges of the wings and tailplanes are quite thin, but a light scraping of the mating surfaces won't hurt. Other features such as shell ejectors and cowling vents are recessed. Some modellers may wish to deepen these. The resin parts match this high standard. These parts are used for the cockpit, exhausts and wheel wells, in addition to detailing the undercarriage. The exhausts and wheel well parts are especially nice. Most of the parts are cast onto small blocks with slim connectors, but the wheel wells, seat and radiator have stout blocks that will need a little time and care to successfully remove. The vacform canopy represents the final pre-series version. This is appropriate for most of the Re.2005s that reached squadron service. The clear plastic is quite solid (so it won't collapse as you cut it), features distinct frame detail, and is very clear. Interestingly, the canopy has a slight blue tint. The instructions are just okay. Assembly is called out over 13 steps using exploded view drawings, but the diagrams are quite small. Fortunately, the model is relatively simple so there are not too many opportunities to go astray. The Cartograf decals are terrific. They demonstrate their usual narrow carrier film, perfect registration and strong colour saturation. Markings are provided for 362a Squadriglia of the Regia Aeronautica, a Luftwaffe machine and a rare Sagittario in service with the ANR. 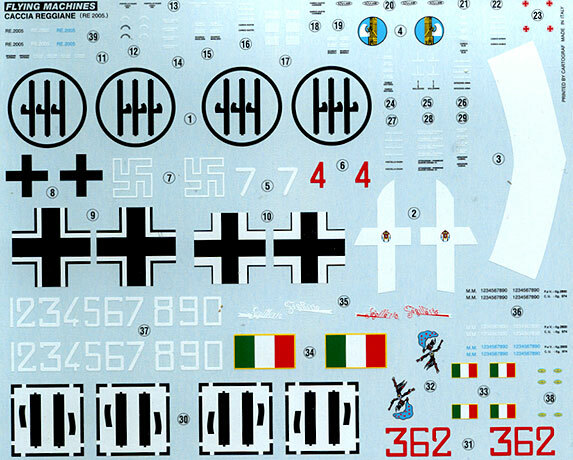 Although the instructions only call out only three specific options, the sheet provides decals to produce any of the aircraft in service with 362a Squadriglia of XXII� Gruppo. The Re.2005 spent virtually all of its short Regia Aeronautica operational career with this unit. Not only is a full set of aircraft numbers supplied, but tiny individual serial numbers are provided in blue, white and black. If that were not enough, the word Sagittario, which appears on the tail, is offered in both red and white (for very early aircraft) and solid white (for the bulk of the operational aircraft). No matter how good a limited run kit might look in the box, the critical issue is always how the kit fits together. I decided to examine the fit of major components, and to check some possible trouble spots. Parts breakdown is conventional - fuselage halves plus a full-span lower wing and half-span upper wing halves. The plastic is quite soft and easy to work with. 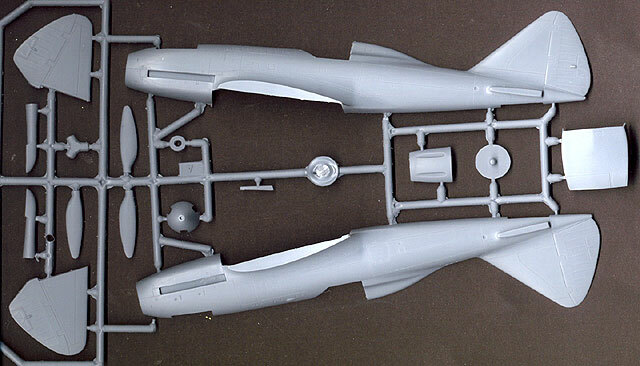 The fuselage and wing parts were removed from the sprues and I swiped the mating surfaces with a coarse sanding stick. All of these parts have raised ejector pin marks that should be removed before fitting parts. The fuselage halves aligned perfectly without gaps. I taped the fuselage together in preparation for more test-fitting. One area that sometimes causes headaches in limited-run kits is the installation of resin wheel wells. This kit is no exception. The detail in the wheel well is very nice, but the stout casting block must be entirely removed. Even this will not be quite enough to permit the upper wing to fit - the inside of the upper wing will need thinning too. Finally, the solid resin at the leading edge of the wheel well should also be removed as it will interfere with the fit. None of this is particularly difficult, and it a very worthwhile investment in time to ensure a good fitting model. Finally, I test-fitted the upper wings. I sanded any excess plastic from the section of the upper wing that mates with the fuselage. The match between the wing and the fuselage on the port side was almost perfect after I slightly sanded the back edge of the upper wing. A few seconds' sanding also achieved a good fit on the starboard side. Please note that the photo below shows the model without any glue applied. The only additional work I plan to do is to deepen and drill-out the cowl gun troughs. This is not the first 1/48 scale Re.2005, but it is certainly the best. Falcon released a nice vacform Sagittario in the late 1980s, followed by a pretty rough limited-run injection version. Neither of these kits included decals. Flying Machine's kit looks as accurate as Falcon's release, but it is much better detailed and will certainly be easier to build. I am very impressed with this model. It looks great in the box and construction is proving trouble-free so far. My only reservation is that this is the fourth 1/48 scale Reggiane fighter variant to be released in less than ten months. Will the model buying public will be "Reggian-ied out" by now? I certainly hope not, as the Re.2005 is such an attractive aircraft and Flying Machines has delivered a very nice, buildable model. Any modeller with moderate experience should have no trouble with this kit. Thanks to Flying Machines for the review sample. 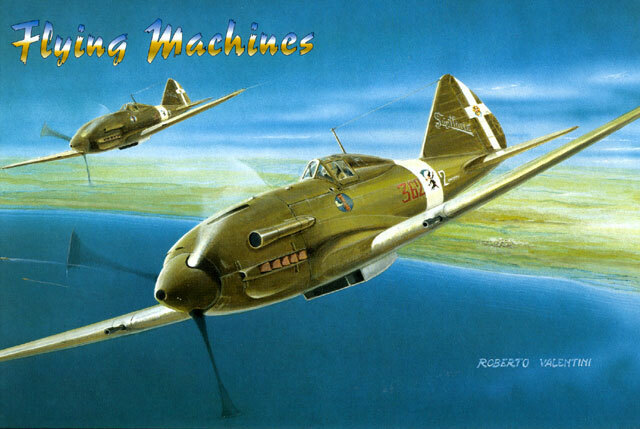 Flying Machines' Re.2005 is available online from Pacific Coast Models and other hobby retailers.